At “3000 YEARS HEALH CENTER,” we understand that each individual client is unique. A comprehensive treatment plan is designed to meet our client specific life-style and health issues. Our holistic wellness program is personalized for his/her individual underlying physical, biochemical and psychological needs. Our vast resources can help us to evaluate your personal requirement while enriching your treatment experience and optimizing your overall health. We are a MULTI-DISCIPLINARY CENTER providing a complete functional physiological system therapy for the whole body. We help our patients to improve their quality of life and enhance their state of well-being by strengthening and balancing the internal systems to prevent diseases. Our goal is to provide our patients with the necessary tools to restore, rejuvenate, and revitalize their health, and most importantly, to prevent and reduce their risk of future illnesses. 3000 Years Health Center has been providing alternative health care services to the Los Angeles Community since 2001. We use Acupuncture and Chiropractic treatment modalities to restore any physical and structural damages. The most unique part of our practice is the Chinese Herbal Medicines and the Nutritional Supplements in which we use to heal the body from the in-side-out. A balanced nutritional state is essential for achieving and maintaining an optimal intra-cellular level of the Mind, Body, and Soul. Los Angeles, Pasadena, Glendale, Burbank, San Fernando, Van Nuys, Sun Valley, Panorama City, North Hollywood, Studio City, North Hills, Northridge, Encino, Sherman Oaks. 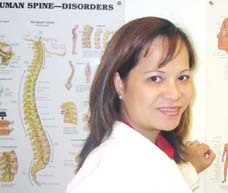 Dr. Diep is licensed to practice Chiropractic and Acupuncture in the state of California. She is board certified with the American College of Addictionology and Compulsive Disorders. She is also board certified with the American Board of Oriental Reproductive Medicine. She uses modern diagnostic technology with eastern diagnostic tools to prevent and reduce her patients' risk of future illnesses. 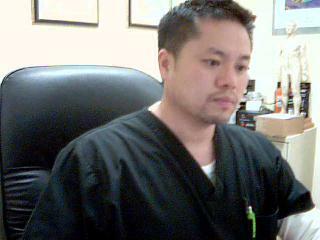 Jonathan T Tran, has been practicing since 2003, and is actively licensed in the State of California to practice Acupuncture. In addition to practicing Acupuncture, Jonathan is certified in Addictionology which deals with individual who suffers from compulsive and addictive behavioral disorders such as: gambling, drugs, alcohol, smoking, etc. He is also nationally certified in drug testing (DOT) for the US Department of Transpartation and a Breath Alcohol Technician (BAT). Copyright 2010 3000 Years Health Center. All rights reserved.